1Not available with special financing, lease and some other offers. See dealer for details. 2Conquest % Cash Back. Stackable % Cash Back for customers who have owned or leased a 2005 or newer Non-GM Vehicle for a minimum of 30 days. Allowance Available on Retail Program info. Compatible with % Off and % Conquest Private Offer ONLY. All Programs Effective Until 4/30/2019 Unless Otherwise Indicated. 3Not available with special financing, lease and some other offers. See dealer for details. 4Not available with some other offers. Take delivery by 04-30-2019. 5Not available with some other offers. Take delivery by 04-30-2019. 6Monthly payment is $13.89 for every $1,000 you finance. Example down payment: 11.2%. Must finance with GM Financial. Some customers may not qualify. Not available with lease and some other offers. Take new retail delivery by 4/30/2019. See dealer for details. 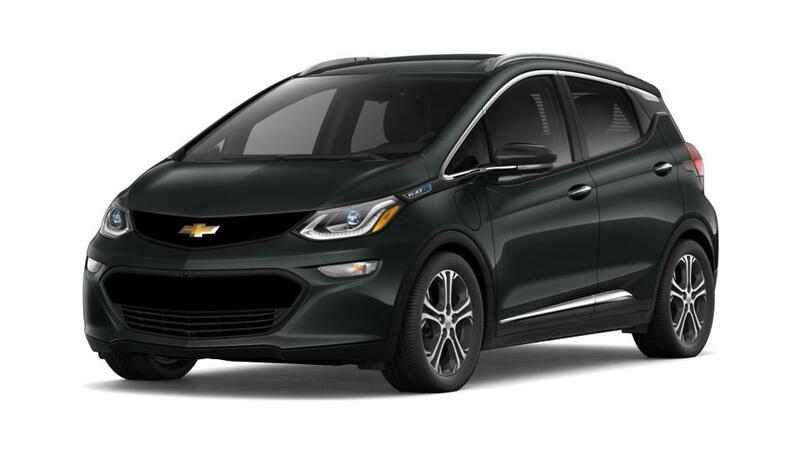 The new Chevrolet Bolt EV, available at our Pittsburg dealership near Antioch, is an all-electric car that has completely changed the meaning of a green vehicle. Awarded Motor Trend’s 2017 Car of the Year, the Bolt EV is the total package, blending design and capability. Through an EPA-estimated 238 miles with each charge and an impressive acceleration that will get you from 0 to 60 in 6.5 seconds, this all-electric car is equipped for prolonged trips. You may even switch gears electronically in the Bolt EV, causing a clean and precise experience as you drive. Moreover, it provides you considerably more room for front passengers and the cargo room to store even sizeable, oddly-shaped equipment. One of the most useful characteristics of the Chevrolet Bolt EV is that it's possible to charge the battery as much or as little as you want, depending on the time you have. If this description has set off your interest in this new all-electric car, visit us at Winter Chevrolet today. Take a look at the inventory of the new Chevrolet Bolt EV models in Pittsburg. Give us a call at (925) 526-6071 or contact us online to schedule a test drive today.